I had a lovely day shooting Egyptian Vultures with my friends Sameer & Vinay. 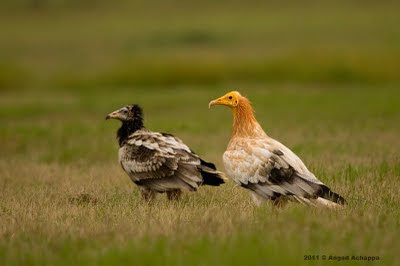 In this post you can see the stark difference between the adult and juvenile Egyptian Vultures. It has been 10 years since I last saw this species for real so great to compare the different ages side by side. Super shots Angad. they are gorgeous creatures! wow! 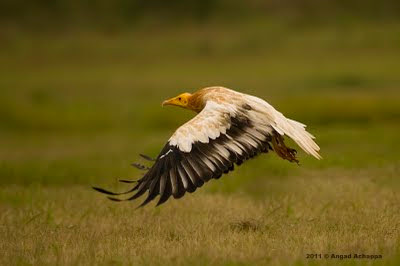 excellent captures... esp in flight... they are majestic! Oh my goodness, spectacular images! You have captured the differences beautifully. Fantastic detail! Your photographs are exceptional. A joy to visit your wonderful blog! You are so very gifted as a photographer. 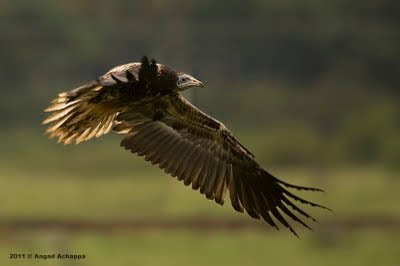 Am always in awe of these powerful birds, and you've caught them in flight brilliantly. Awesome photographs! beautiful shots! i learnt about ur blog thru chintan and loved it. wildlife photography needs a lot of patience. hats off...following you! Awesome...really like the second picture! Amazing shots! Perfect timing and careful composition! Great Shot and Educating ..